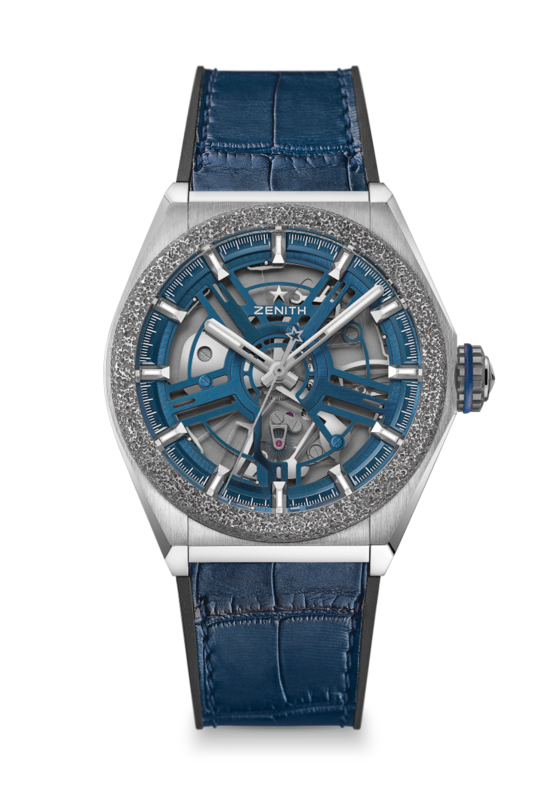 Here at Baselworld 2019, Zenith turns things a bit upside down in the watch world with the unveiling of its new Zenith Inventor watch. The watch houses the brand’s patented “Zenith Oscillator” control system oscillator that replaces the traditional sprung balance and eliminates approximately 30 components to offer single monolithic oscillating device made of silicon. The new oscillator beats at a high frequency (18 Hz) and offers reliability , stability and enhanced chronometric precision. Making it even more alluring is the fact that the case is crafted on lightweight titanium and features a bezel made of Aeronith (an aluminum-polymer composite said to be the lightest on Earth). Making the watch even more intriguing is the fact that the open-worked dial offers grand architecture. With all of the high-tech materials and the new regulating organ, there is no need for lubrication and the watch is impervious to magnetic fields. The watch’s roots date back two years to 2017 when Zenith unveiled Defy Lab, an ‘archetype’ regulated by a “revolutionary oscillator developed by the Manufacture and issued in a 10-piece limited edition.” Now Zenith moves from R&D and trial stages to actual production with the oscillator. 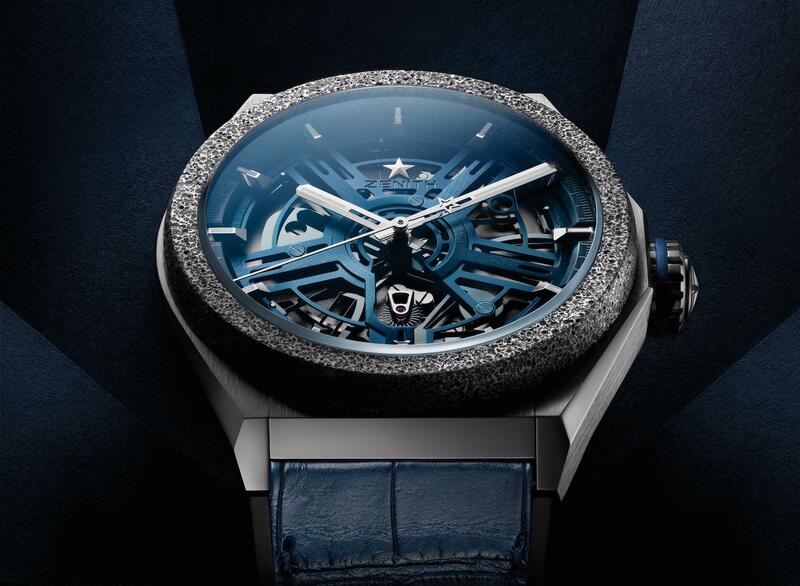 The Zenith Defy Inventor beats, as mentioned, at an extremely high frequency of 18 Hz (compared to the usual 4 Hz usually. It offers two days of power reserve. Because the oscillator is a single piece it it replaces about 30 parts typically found in a standard regulating organ. This eliminates friction, wear and tear. And because it is made of silicon, it is anti-magnetic and resistant to temperature variations. 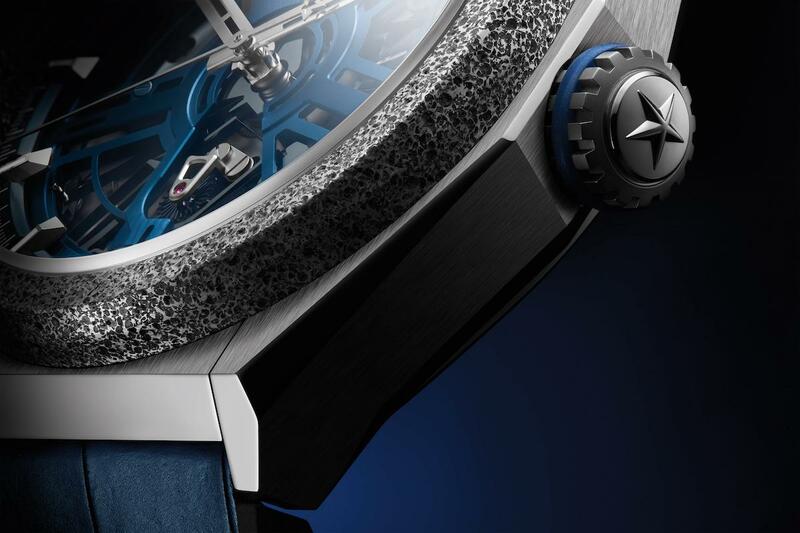 Zenith Defy Inventor watch with Aerolith bezel and silicon monolithic regulating organ.